This is something to share! 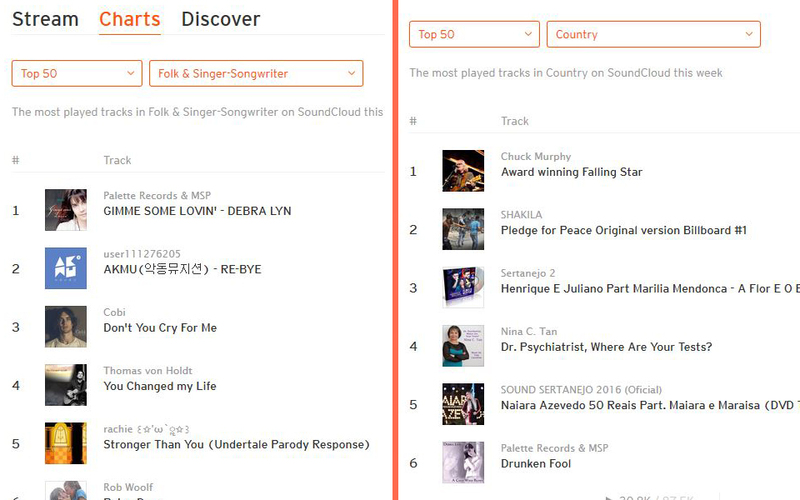 Today I have 2 songs on the SoundCloud Charts: “Gimme Some Lovin'” is #1 on the Folk & Singer-Songwriter Chart and “Drunken Fool” is now at #5 on the Top 50 Country Chart. Congratulations also to Chuck Murphy – his song “Falling Star” is #1 on the Country Chart! A very special thank you to Art Tawanghar and to everyone who has listened!